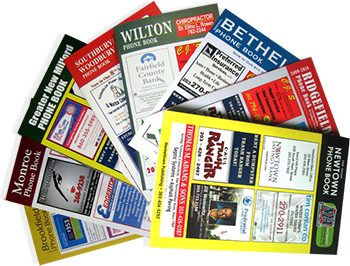 Hometown Publishing has been publishing local directories since 1999, and is Western Connecticut’s leader in local directories. Servicing the Greater Danbury area, Hometown is currently extending the business directory on-line. Use our directory to look up your friends & neighbors, or shop local & support your neighborhood businesses! Hometown Publishing has been printing local directories in the Greater Danbury area since 1999; eight books that cover 12 communities within Fairfield, Litchfield and New Haven counties. Residents and business owners alike tell us they use our books daily when calling a friend or looking for a local product or service. They turn to us first because we are compact, easy-to-use and most of all... hometown. It is because of this, as well as our service and recognition, that our advertisers come back year after year. In addition to your ad being published in our Hometown Publishing phone books, businesses are included in our web directory. L.A. Barnaby & Sons, Inc.